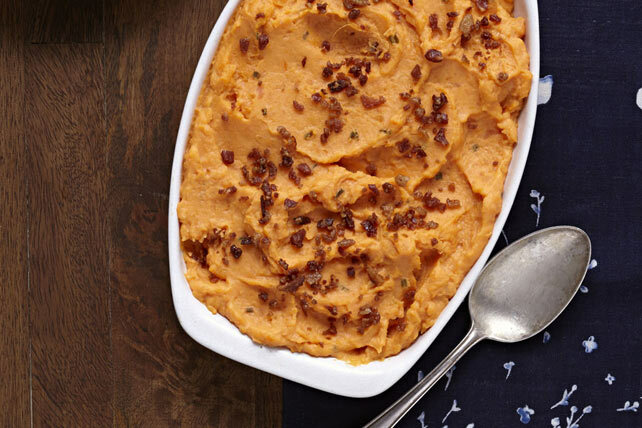 Here's a quick and simple way to prepare sweet potatoes. Drain potatoes; return to pan. Mash until smooth. Add cream cheese product; stir until melted.